I started playing guitar at 10. 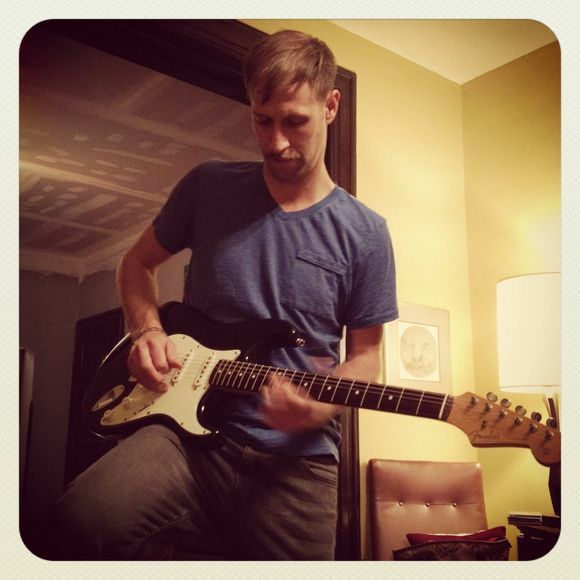 While a lot of folks start out on the acoustic, I dove right into the electric guitar. After all, I wanted to be a rockstar just like any other kid. The first "setup" I had was a 1989 Fender Squier II Stratocaster and a little Sundown Formula 50 1x12 combo tube amp, both of which I still have. Since then, I have been in love with tube amps. While I loved that Sundown (and still do) I always thought Fender made some of the coolest-looking, and most iconic-sounding amplifiers of all time. Ever since I first heard the raw power of a 6L6-driven Fender Twin when I was in high school, I knew that if an amp had said "Fender" it was something very special. Even now, any chance I can get to play a new Fender amp, I'm on it faster than Flo-Jo off of the starting line. Now don't get me wrong, I'm certainly no supreme authority on the subject of amplifiers, but I thought I would impart a little of what I know about some of these wonderful amps, and their unique characteristics. For those of you out there that are new to the tube amp game, or don't know much about this short list I have compiled, maybe this will be an introduction to them, or maybe even serve as a "buyer's guide" of sorts. Perhaps the most famous "clean" tube amp in history, this powerhouse boasts 85 Watts of pure clean power. 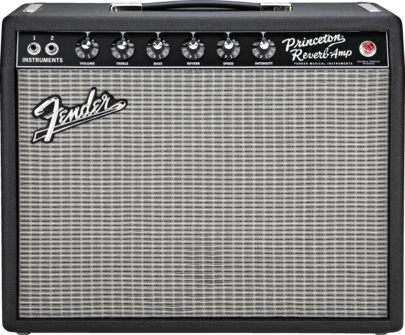 Ideal for country, jazz and surf rock, this amp has a ton of clean "headroom". Unlike other smaller-wattage tube amps, the more you crank this baby up, the louder its clean tone gets...no distorting or "breaking up" here. If you like reverb and tremolo, it really doesn't get better than the Twin. The reverb is lush and powerful and the tremolo is very dynamic and smooth. Don't be mislead by this amp's all-clean nature, the Twin can easily keep up with any other amp it shares a stage with. With it's 2 12" speakers, it is plenty loud, and is pretty much the only clean amp you will ever need! NOTE: There have been a few different versions of "the Twin" over the years, but the 1965-era Fender Twin Reverb is widely-regarded as the standard for what a Twin should sound like. Coveted for creating the "Bakersfield Sound" and for siring a plethora of now-inconic "knock-offs", the Fender Bassman is perhaps one of the most important tube amplifiers in the history of guitar. When Fender first released this amp in 1952 it was originally intended for the bass guitar. But as soon as that first guitar player hooked into what might have been his buddy's brand new bass amp and got the history-making tone, the Bassman was destined for guitar infamy. Through the 50's, Fender re-vamped the Bassman, adjusting wattages, speaker configurations and other specifications. 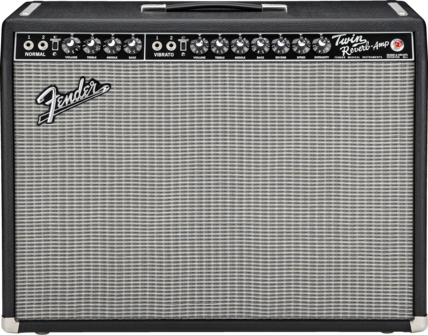 In 1959, Fender made a tweed-covered 45-watt, 4x10" version of the amp that changed guitar amplification forever. With it's lower-wattage output (as opposed to an amp like the Twin) guitarists found that as they drove the volume up, the amplifier (and the lower-wattage speakers) would distort in a very pleasing way; creating a harsher yet completely warm tone, saturated with that lush tube power. Since then, the Bassman has gone on to become the inspiration for many, many amps (Marshall, Traynor, and many others). These amps went onto spawn a new era of crunch and loud, "hi-gain" amplifiers. So there is indeed a snarling beast underneath that ever-so fashionable and slightly pretty tweed covering, it's still considered by many good 'ole boys to be the perfect amp for their country guitar pickin'. NOTE: While there are so many different types of Bassman that Fender has produced over the years, the common opinion is that the 1959 4x10 combo is the Holy Grail of Bassmans (bassmen?). Legend has it that the Deluxe Reverb is "the most-recorded amp in Rock 'n Roll history" which makes sense when you hear this little amp's killer tone! While the the Deluxe Reverb's big brother, the Twin, is a purely clean amp, the 'luxe has internal workings that make it a different animal altogether. A sort of "horse of a different color" so to speak. With a relatively lower-wattage output, paired with pure tube rectification, the Deluxe Reverb allows a determined guitar player (wearing earplugs) to really drive this amp past its lovely clean stage to a level of subtle distortion that makes it just...well, oh so magical. A great amp for soaring solos and seriously spanky licks, the Deluxe Reverb really jumps out of the mix with warm, buttery tone, complete with just enough roughness around its edges to add a bit of bark. It's small format (1x12" combo) makes it great for gigging, and with the same gorgeous reverb and vibrato as the Twin Reverb, well...let's just say it's kind of like a Swiss Army knife wrapped in black tolex. 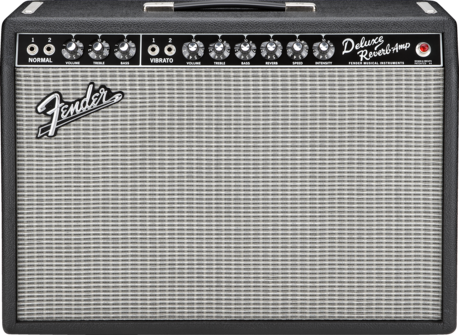 NOTE: The Deluxe Reverb, in my opinion, is vastly different than other Fender amps that share its namesake (Blues Deluxe, Hot Rod Deluxe, etc). Those newer "deluxe" models have multiple channels ("drive" and "more drive") built in. The Deluxe Reverb, with really only one true "channel" makes you work for its tone! And, let's be honest, you can't beat the original. Among Deluxe Reverbs, the 1965 is often regarded as the best, though many will say that the first of the Sliverface era are the way to go. One the most-beloved small combo amps ever made, the Princeton Reverb is less about volume and more about pure TONE! Certainly the little guy here, the Princeton Reverb may not be as comfortable on the big stage as its bigger cousins above, but those larger amps sure wish that they packed as much bark within their cabinets as the Princeton does! With only 12 Watts (about half the power of the Deluxe Reverb, and about 85% less power than the Twin) the Princeton Reverb can really distort when it's volume is driven up. The Princeton also has the same beautiful reverb and vibrato as the Twin and Deluxe, thus making it quite a versatile little amp! The Princeton Reverb is a truly amazing studio amp. In fact, it's probably a safe bet to say that at any given time, there's probably a Princeton laying around any major recording studio in America. NOTE: There have been a lot of versions of the Princeton throughout the years. And while the the 1965 is probably the most sought-after, the "silverface" versions from the late 60's and early 70's are still quite remarkable! If you're interested in some serious American tube tone, I highly recommend trying some of these wonderful amps out if you have the chance. And if you like what you see here, SHARE IT!